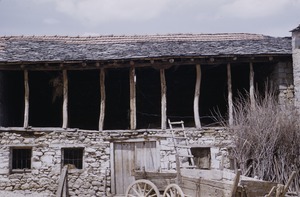 6 results found for: subject:"Barns--Macedonia--Photographs"
Macedonia - Livestock barns on road to Volce. 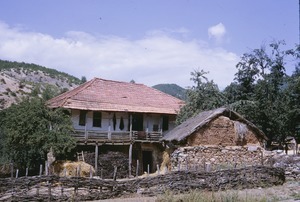 Macedonia - House and barn in Ohrid area with woven fence. 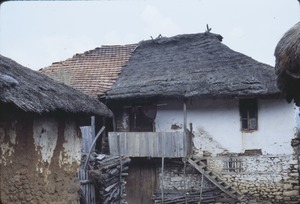 Macedonia - Older house in background with exterior staircase; barn-like structure on right. 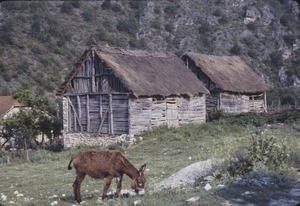 Macedonia - Barn, with wooden wagon in front; place to store grain; half stone/half tile roof; lower level used for livestock. 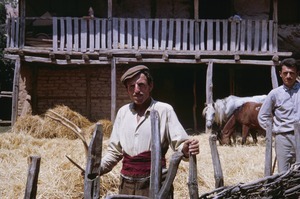 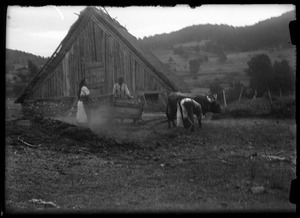 Macedonia - A man stands with wooden pitchfork used in threshing; man in background wears "western" dress; work horses feed; barn stands.